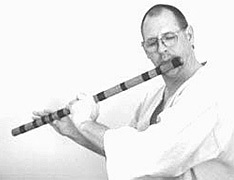 The primary instrument for Richard Roberts is the flute. 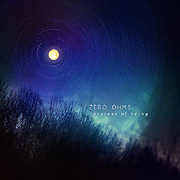 Yet while recording under the name Zero Ohms, as clouds of sounds drift, ebb and flow across minimal mindscapes, his music sounds quite synthetic. On his CD Process of Being (66'30"), when the true tone of one of Roberts' many classes of flute does emerge, the listener will feel the primeval draw of this ancient instrument. These passages are informed by a spacey musical lineage back to Paul Horn and his Inside (1968) album as well as Music for Zen Meditation (1964) by Tony Scott. These realizations seem to conjure huge forces while constantly tuning our minds. In a field full of virtual instruments and studio samples Roberts' weaving of actual flute playing into the fabric of Process of Being provides his work with some sonic distinction. Using flutes also naturally paces the compositions. Due to its melodic lines relying on the length of the players' breath, this work, no matter how ethereal, exists on a human level. The first two tracks on Process of Being seem quite abstract, but not atonal. Each movement of tone and motion of timbre, possibly pushed by deep ethereal breaths, expand, curve and hang within the listener. The result is dramatic in an ambient way. These pieces are effected profoundly by the subtlest of gesture and communicate in a unique harmonic language. The remaining pieces seem more in focus, as the conventional sound of Roberts' flute becomes a greater presence. We may feel our brain and body slow, restless thoughts fade - providing an opportunity for purposeful pondering of one idea at a time, or mere reveling in strange emptiness. Whether originating from flutes, their signal processing or electronic instruments, the shadowy work of Zero Ohms holds many mysteries, but it still has the ability to enlighten.